Yes, it’s a fad, but it’s all the rage, and many businesses are taking advantage of this crazy craze! First off, let’s define Pokémon Go: Pokémon Go is a video game played on a cell phone that places the fictional game in and around the real world, so players have to find them and “catch” them. Almost like a digital scavenger hunt! Learn how it works. Even if it means spending an hour with your kid or nephew or someone who knows the game. It helps to learn the terminology and know what’s around you! Yosemite Mountain Businesses can even hire Moss Web Works to do a Pokémon Go Audit to see what’s around you and how your business can take advantage of the game. Players are looking for 3 things: Pokémons, which are fictional creatures to catch; Poké Stops, where they can rep lenish their supplies; and Poké Gyms where they can battle other players for points and advantages. As stated before, these are placed in the real world, maybe even in YOUR business, but you can only see them through the Pokémon Go app on a smart phone. 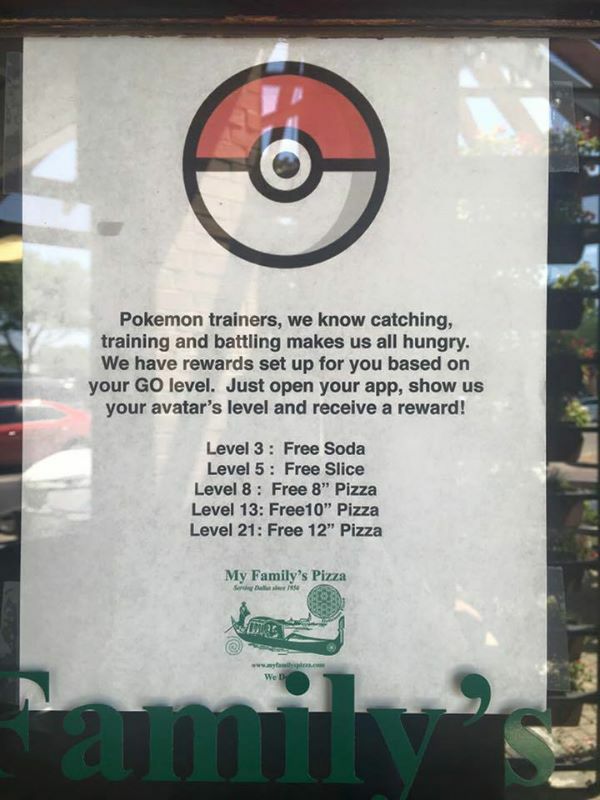 First and foremost, you want to find out if you have a Poké Stop in or around your business. In the app, they look like concentric blue circles in the shape of a target (see image, right). If you do have a Poké Stop, embrace it! Put up a sign, as players want to find as many of these as possible. Poké Stops also reset every five minutes, which means that your potential customer might just hang out and get as many tools as they can while they’re at your store or restaurant. Once people know you have access to a Poké Stop, let them play. It will make them more sympathetic to your business. Don’t chase them away. Play with them! 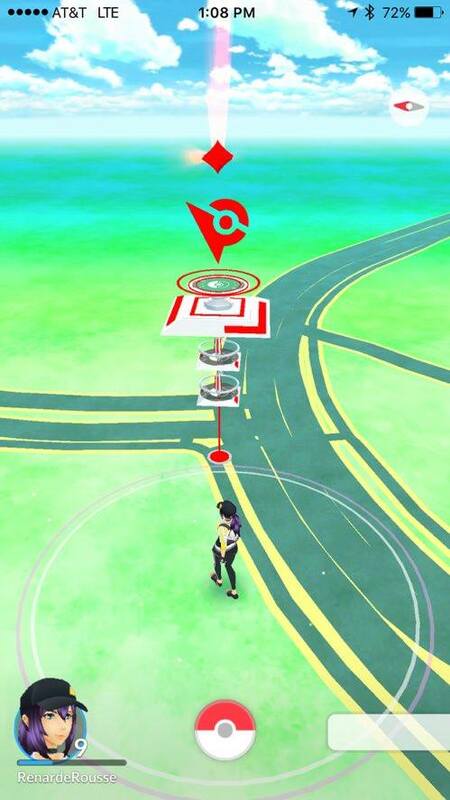 Tell them where to best access the Poké Stop in your store. It could only elevate your status in the community. Understand that it’s not just kids playing the game. Adults are getting into it too. So if you think “I don’t want a bunch of kids in here,” you’re sorely mistaken. And again, it can help your business! So why not go with the flow? Provide something for Pokémon Go players–10% off a particular item, a special gift, or even just a glass of water. Players have been walking around playing in the hot sun! If it’s chilly out, offer coffee, hot chocolate or tea and cookies. Use and buy more “lures.” You can set a lure in your business that will attract Pokémons for users to catch.Each lure is active for 30 minutes, so you can use them in succession to create a “lure party” and promote it to players. 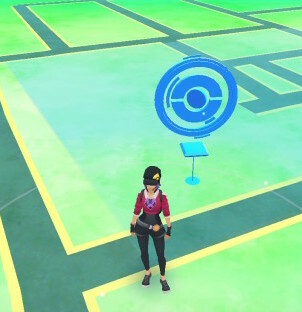 Once a player reaches Level 5, they might look for a Pokémon Gym. This enables the player to “fight” other players to gain more power. See if there’s a Gym near you. They look like tall canonical structures (see image, left). 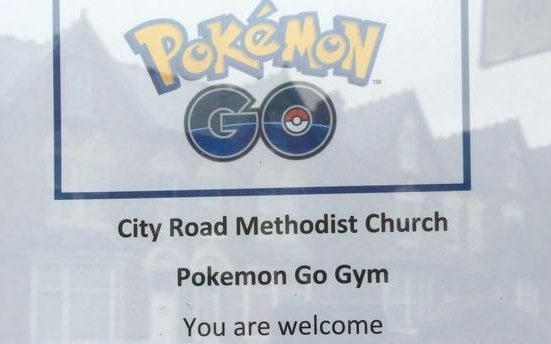 If there’s a gym near you, then you can host “battle parties” or just advertise that you’re close to one. If this all seems overwhelming to you, look for someone who is playing and ask them about the game. I’m sure they’ll be enthusiastic to share their obsession with you. If you have a business in the Yosemite Mountain Area, hire Moss Web Works to do a Pokémon Go Audit to see what’s around you and how your business can take advantage of the game.